Searching for a vehicle that performs seamlessly on Cape May Court House roads and can be taken out for off-roading, whenever possible? 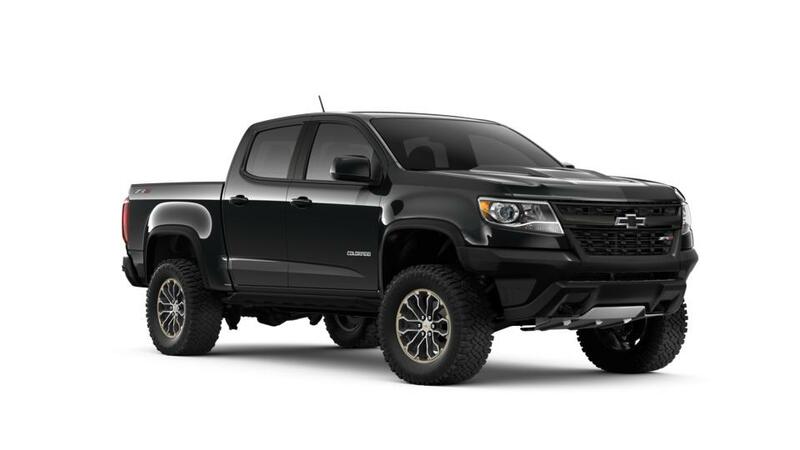 The new Chevrolet Colorado, available at our Cape May Court House dealership, is just the right vehicle for you. Burke Motor Group features a huge inventory of these multi-utility trucks for its Cape May Court House customers. Packed with all the latest technology, the new Chevrolet Colorado, featured in Cape May Court House, will keep you well connected on your journeys with its OnStar 4GLTE, available Chevrolet MyLink, and a touch-screen display. These all featured gives it an upper hand over its competitors. A driver-centric dashboard allows you to make calls and listen to your favorite music without any hassle. The new Chevrolet Colorado, offered at our Cape May Court House dealership, is not only packed with all the desired infotainment features but is also one of the safest trucks around, with up-to-date safety features. To get your hands on the latest Chevrolet Colorado, stop by our Cape May Court House showroom, Burke Motor Group, today!